We are already looking at future energy scenarios for our clients, SAP 10 provides near-future (c.2020) domestic energy assessment methodology. The SAP methodology has been updated and published to allow the industry to prepare for the expected release of the awaited Part L Approved Document late 2019 or early 2020. For clarity, until the new Part L is adopted, SAP 2012 remains in use. The CO2 emission factor for electricity has been reduced significantly and is more in line with gas, reflecting more low carbon electricity generation. This results in electric heated strategies being as favourable as gas in CO2 terms whilst CO2 savings from renewable electricity generation such as CHP and PV will be halved. Default distribution loss factors associated with heat networks have been increased. Previous SAP could use a default of 5% heat loss, whereas SAP 10’s default stance is 100% heat loss, reducing to 50% if CIBSE guidance for best practice is followed. Whilst being more accurate than current SAP 2012 default network heat loss of 5%, strategies incorporating heat networks will significantly increase fuel use and hence CO2 emissions. It is expected that this would be normalised with updated fuel factors with the next Part L release. More emphasis has been placed on lighting inputs. High efficiency lighting design will be beneficial. The default thermal bridge y-value has increased severely penalising energy strategies that do not consider heat losses from junctions. 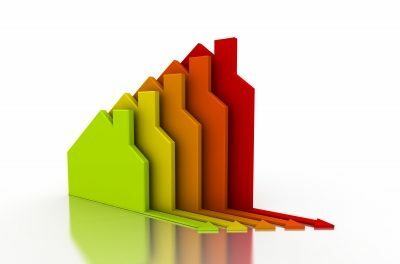 In addition, Accredited Construction Details (ACDs) heat loss (psi-values) will no longer be valid, further pushing designers to get assessed heat loss values. It is therefore still very important to improve thermal bridge details to meet Fabric Energy Efficiency (FEE) standards, and achieve CO2 reducing ‘easy wins’ designed in to the development. PV calculations can take the over shading fraction from the Microgeneration Certification Scheme (MCS) certificate improving the CO2 reductions in SAP. This will increase CO2 reductions where panels are unshaded. Where PV is installed and connected to the Landlord supply in block of flats, the individual dwelling will not benefit from the CO2 savings unless connected to via an individual inverter. This would mean areas connected to PV would need to be assessed to obtain the benefit of them or installing individual inverters for each flat. Either option will require complex metering arrangements. The summer overheating assessment has been revised to limit window opening if there are constraints such as noise or security. The SAP overheating assessment is sensitive to window openings and therefore likely to fail if the SAP methodology is followed. Other options to show compliance are dynamic over heating assessments. The Standard Assessment Procedure (SAP) is the Government’s methodology used to calculate the energy performance of dwellings. The current methodology (SAP 2012) is used to Produced Energy Performance Certificates (EPCs) and to show compliance with Approved Document Part L1A (2013) the conservation of fuel and power.